Barbour Classic Sylkoil Stud-On Leggings - Long. 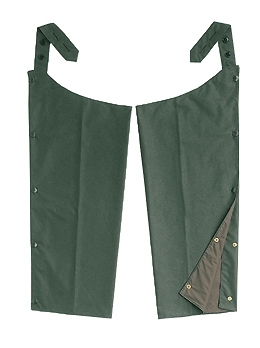 Barbour sylkoil leggings are heavyweight and are ideal for working with animals or pushing through wet undergrowth. Wrap around style with press-stud fastenings down the sides. They are attached to the trouser belt via two-button side straps. Available in olive only, as shown.SALE! This versatile waxed cotton sports hat from Barbour, has been popular with both men and women for decades and is the ideal headwear for many country pursuits. It is also available in a choice of colours including; black, sage green, rustic brown and navy blue to match the range of Barbour jackets. Make your choice of colour and hat size using the pull down menus below.